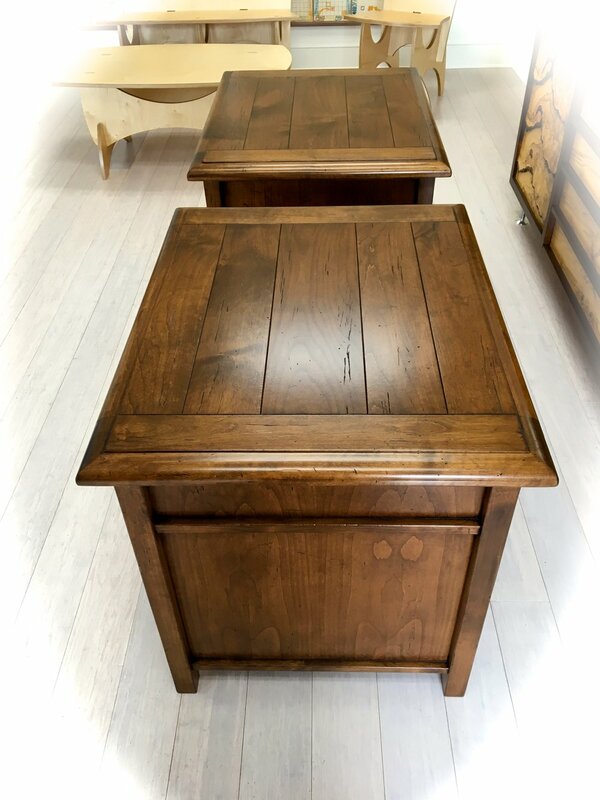 We just completed a pair of Alder end-tables with a distressed finish. Did you know a distressed finish is a technique that is used to give new furniture an aged appearance? It's a classic look for cabinets, antiques and collectables. The Alder wood used for these cabinets is a softer wood, with a simple straight grain look. As you can see, it handles stress quite beautifully. note: these are sample knobs, the client will provide their own set and we look forward to seeing what they will be!